Child Help Foundation | Who we are? 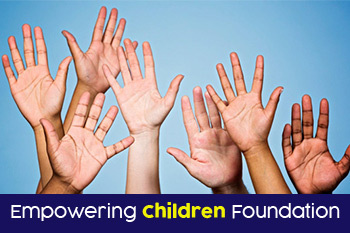 Child Help Foundation (CHF) is a non-profit organization operating across India. It is spearheaded by a team of young, dynamic, spirited and experienced individuals, who are sincerely dedicated to nurturing the needs and necessities of neglected children, the nation’s future generation. Our approach focuses on childrens' basic Education, Holistic Personality Development, Health, and Hygiene, timely Intervention and Treatment of the sick and personal care. We firmly believe that every responsible citizen of our great Country can bring about a positive change in society, only by paying back to society, for his/her lifetime’s borrowings from it. We are doing exactly that, and in the process, assisting all those who want to be a part of a huge social movement. Our humble beginning was wrought with intentions to create support structures that would help provide basics like Education, Shelter, Food, and Hope for the Children and youth of marginalized sections of the society. We actively run and manage numerous grass-roots level initiatives that facilitate basic Education, Health services and Awareness amongst the underprivileged. Child Help Foundation focuses on providing Education, Development, Intervention, Treatment, Dignity, Care and a lot more to the needy and underprivileged children. Recognizing, Understanding and Implementing the best practices in Child development, care and protection is a major focus of our programmes. Constant monitoring and evaluation in order to identify best practices are done on a regular basis to ensure excellent quality of service delivery.